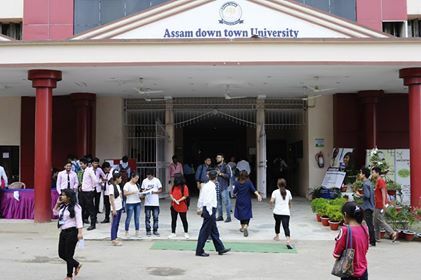 The two-day long Campus Placement Drive organised by the Assam down town University in association with National Career Service successfully ended here in the premises of the University at Panikhaiti on May 20. He further said the skill development of the students must be given priority along with education because when a person possesses great skills he or she is sure to prosper. The Minister further announced that within the next one and half year all the industries which are not operating anymore will be reopened in order to provide various employment opportunities to people all across. Dr NN Dutta, chancellor of the University congratulated all for the successful closing of the placement drive and promised to keep conducting such drives in the near future too. Dr Amarjyoti Choudhury, Vice Chancellor of the University said a nation can grow only with the employment of most of its human resources. The closing ceremony ended with the vote of thanks by Gariasi Dutta, resident trustee of Down Town Charity Trust.